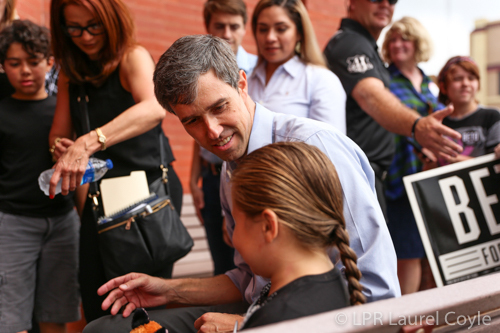 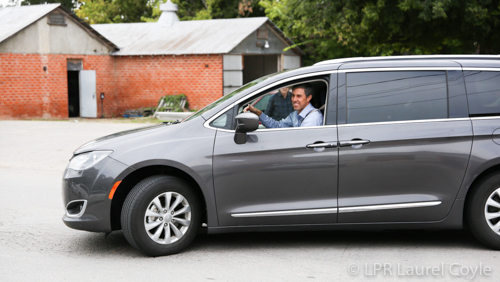 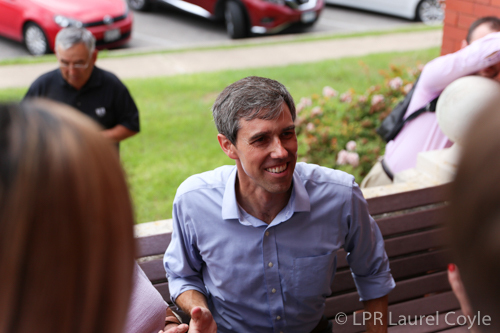 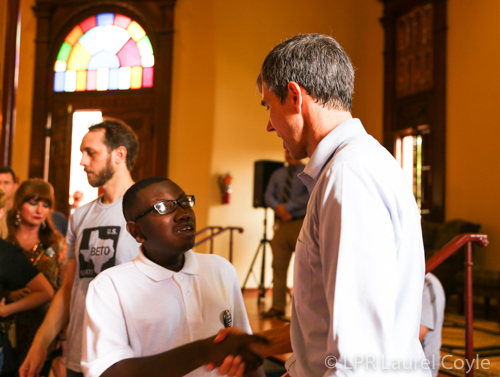 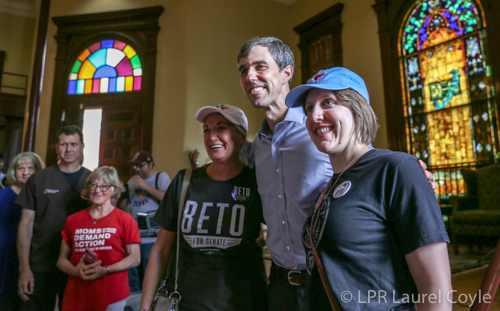 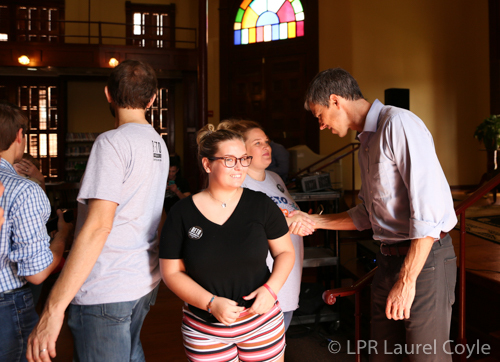 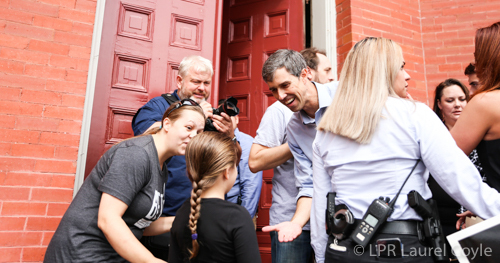 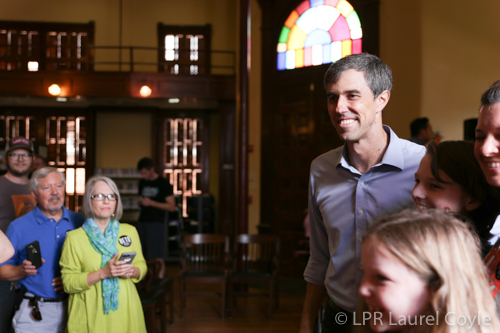 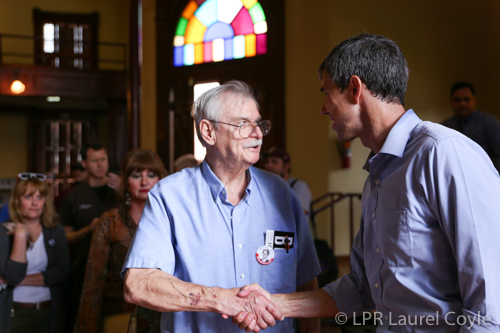 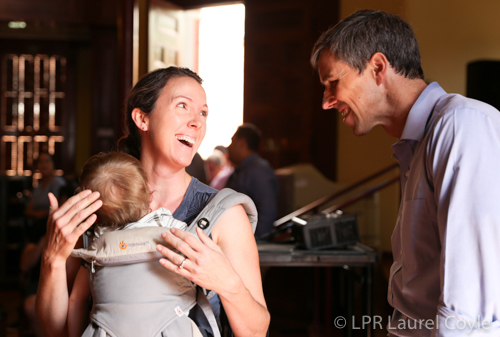 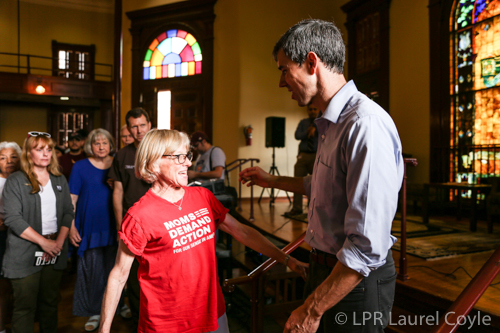 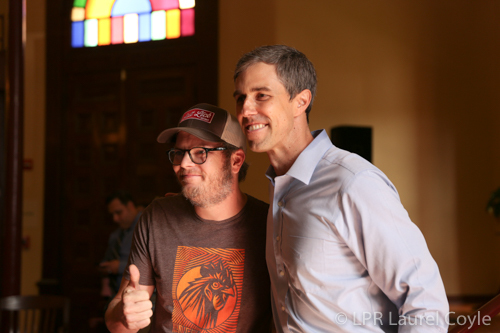 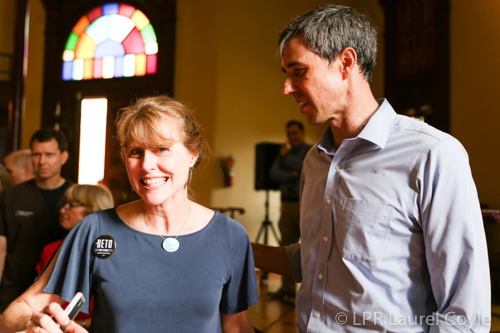 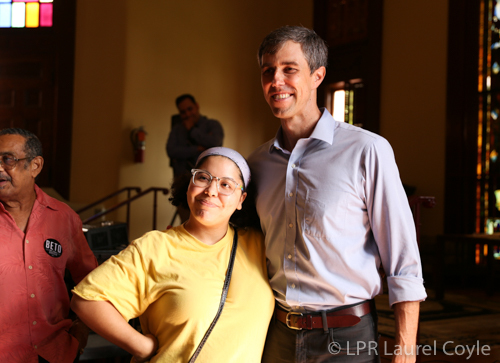 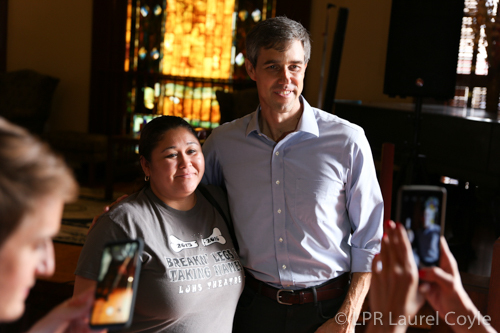 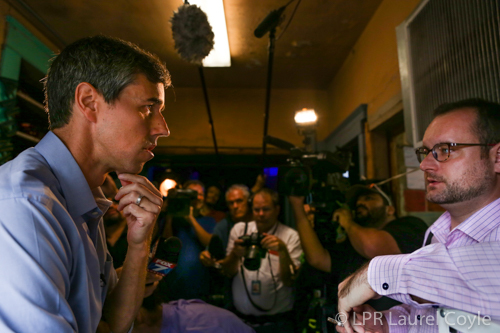 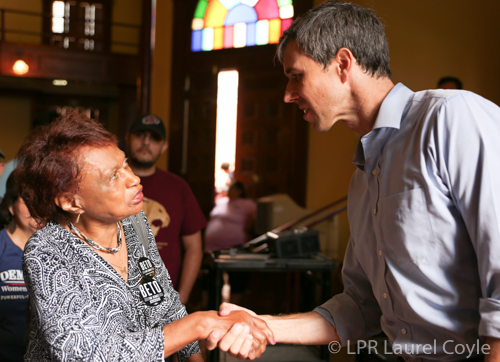 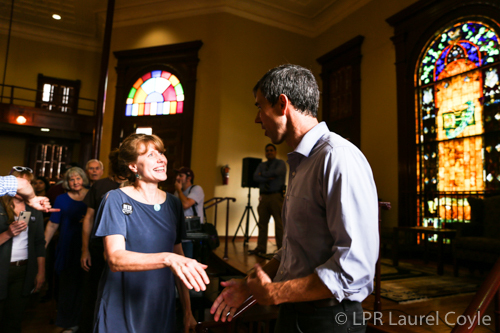 As crowds swarmed on Main Street, El Paso Congressman Beto O’Rourke’s star power was undeniable on Monday morning as he rolled into Lockhart behind the wheel of a nondescript Chrysler minivan. 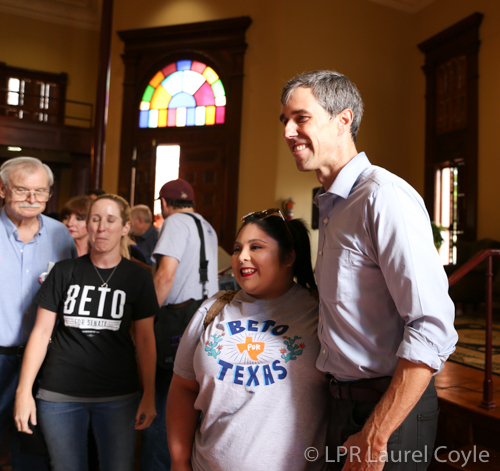 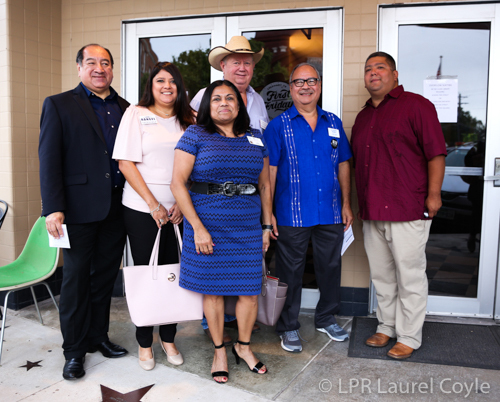 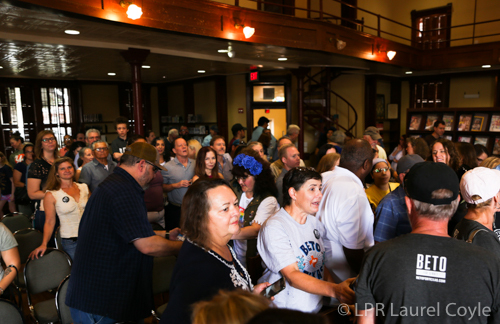 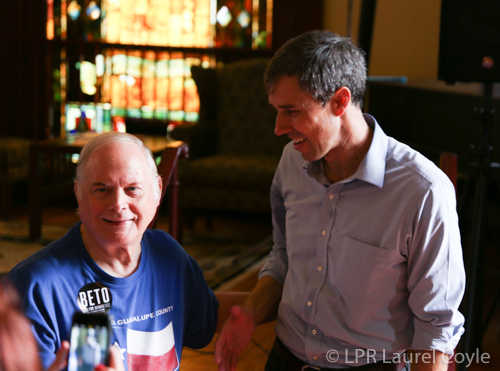 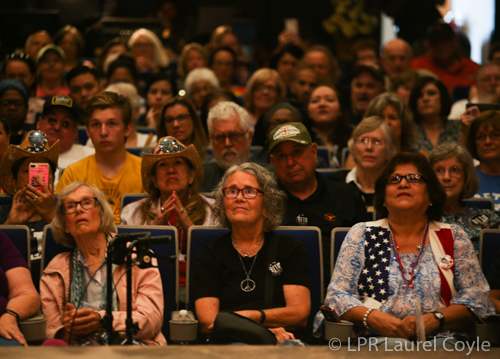 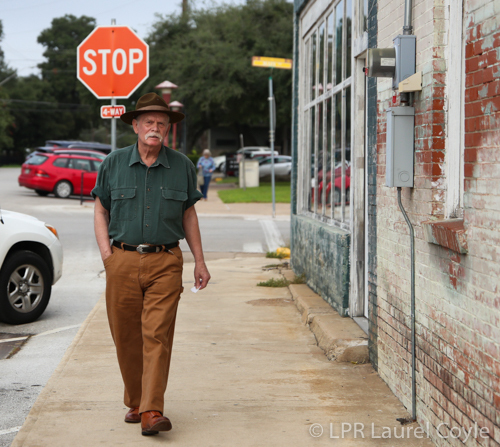 Encountering a throng of ardent supporters is nothing new for the Democratic U.S. Representative who says he’s visited all of Texas’s 254 counties while also making appearances on both daytime and late night national TV shows. 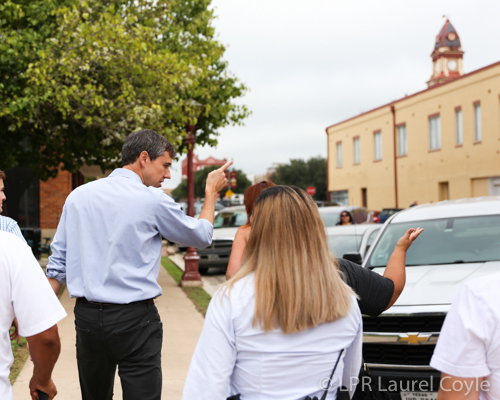 It’s just another day at the office during a campaign that’s received unusual visibility for a midterm election year. 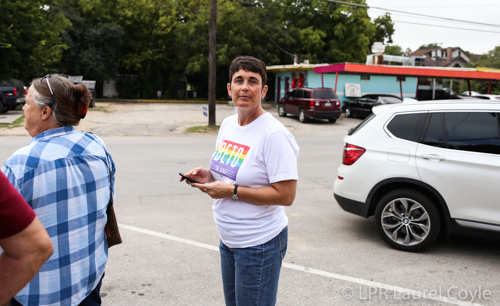 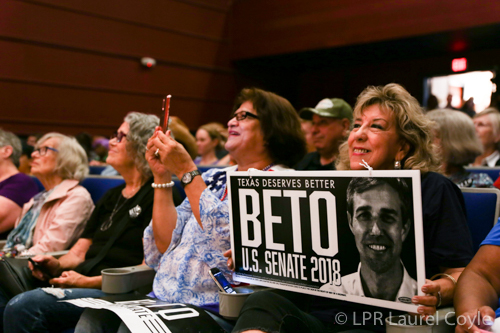 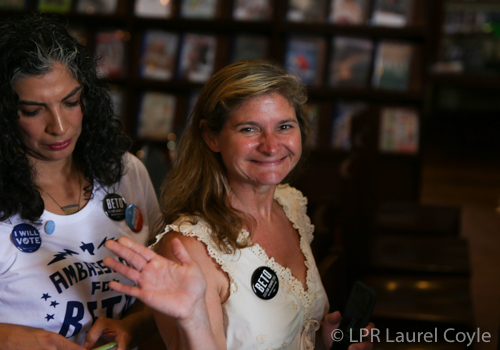 O’Rourke parked the van by the Gaslight-Baker Theatre, the latest stop on his eleventh-hour grassroots tour where a crowd of fervent supporters was waiting to listen to the Congressman, who is challenging incumbent Sen. Ted Cruz in the November election with a campaign that has gained traction he said he wouldn’t have predicted. 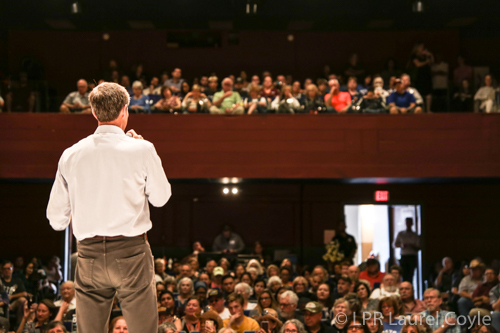 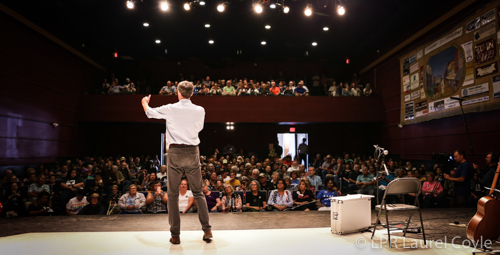 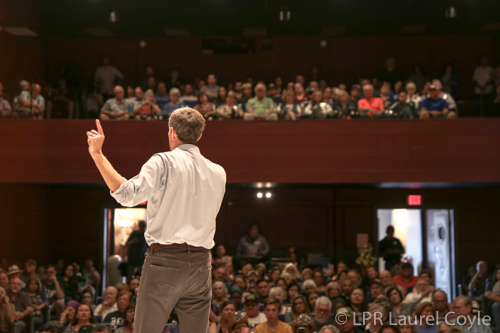 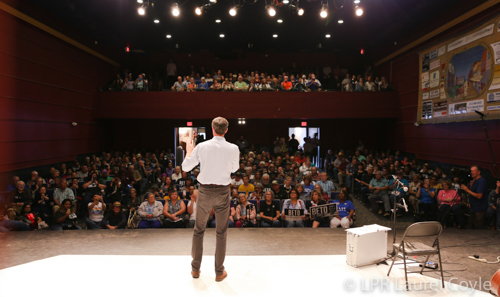 Minutes later, with the sleeves of his dress shirt rolled up, O’Rourke took the stage at a packed Gaslight-Baker and spoke candidly about his views on immigration laws, universal healthcare, student loans and his opinion on the job being done by the current presidential administration. 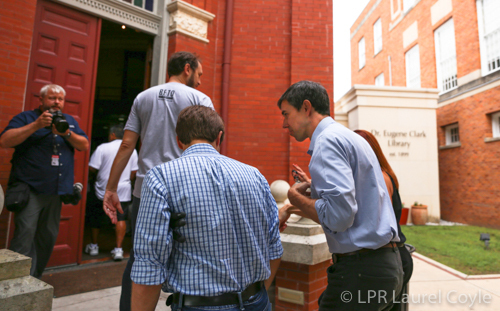 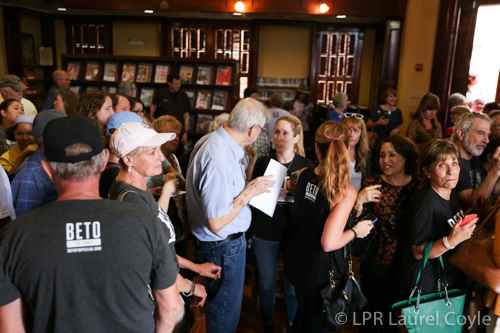 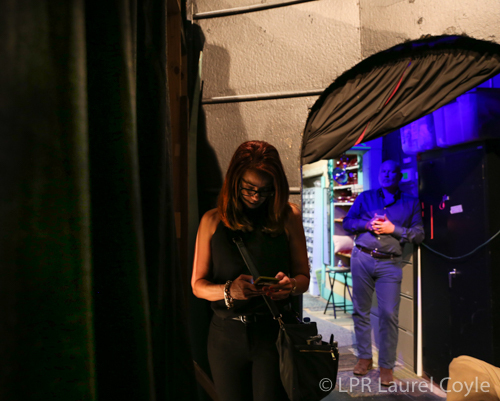 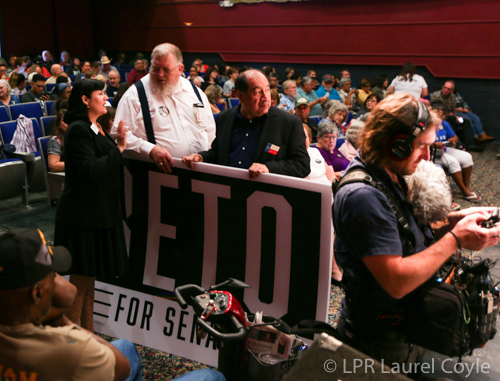 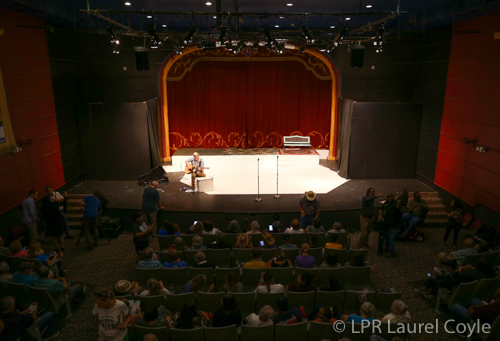 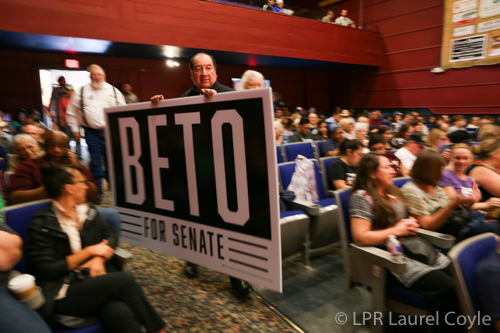 Following the 45-minute presentation at the Gaslight-Baker, O’Rourke headed to the Dr. Eugene Clark Library, where people who couldn’t make it into the theater could listen to a simulcast. 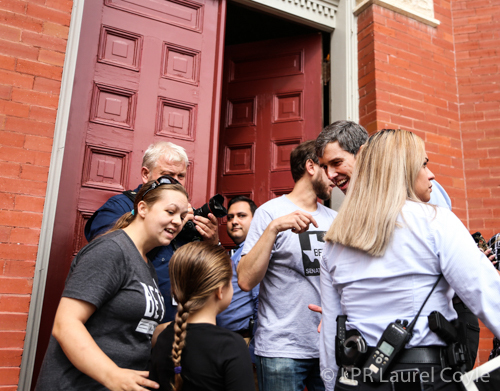 The Congressman posed for photos and shook hands with everyone who lined up. 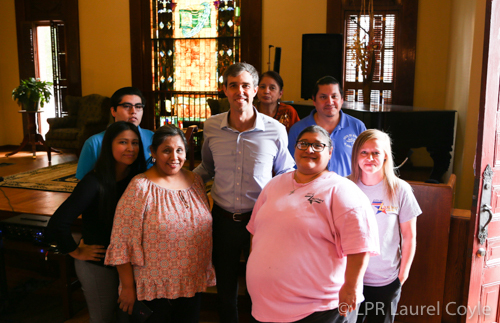 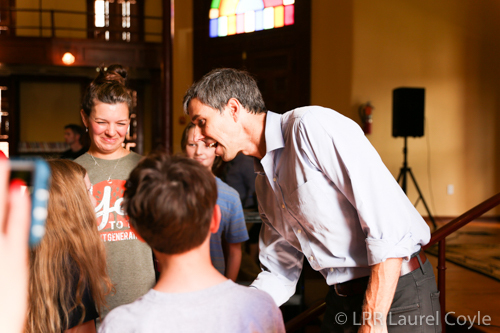 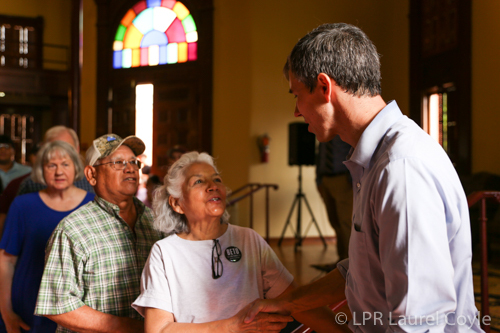 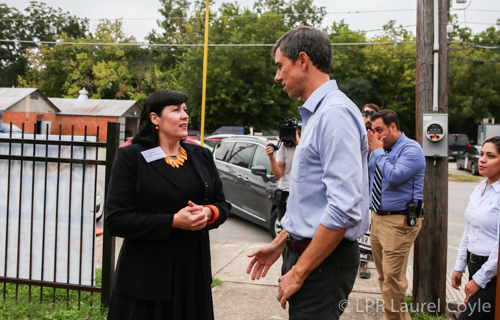 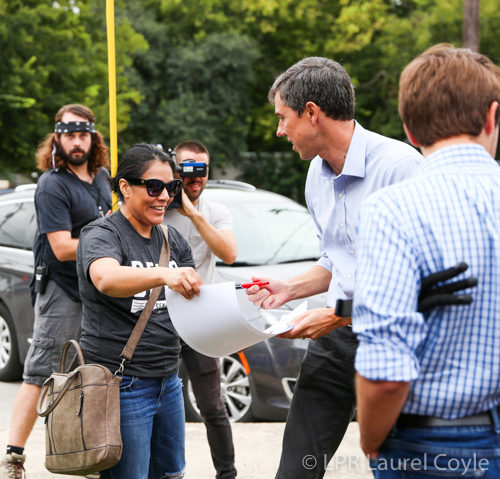 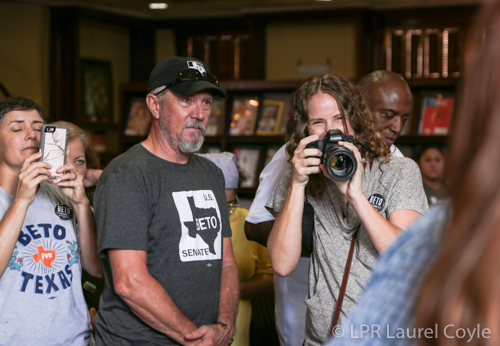 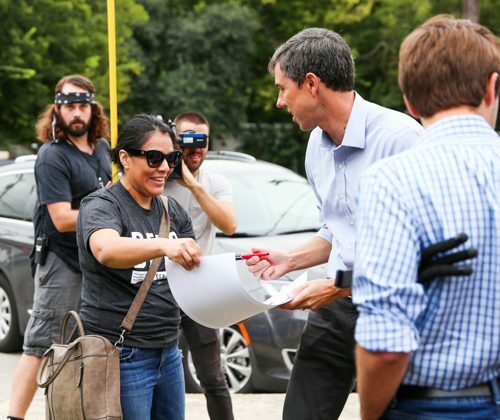 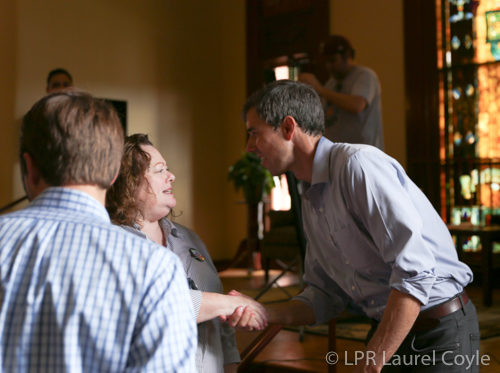 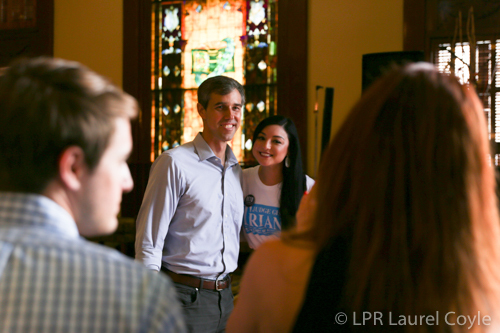 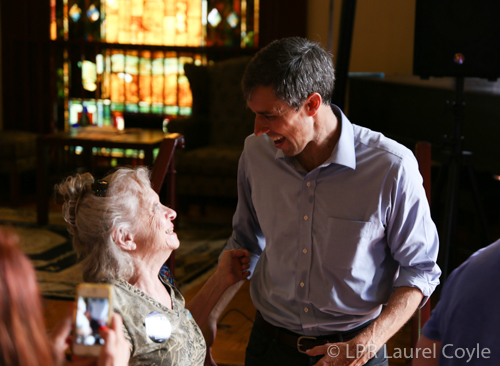 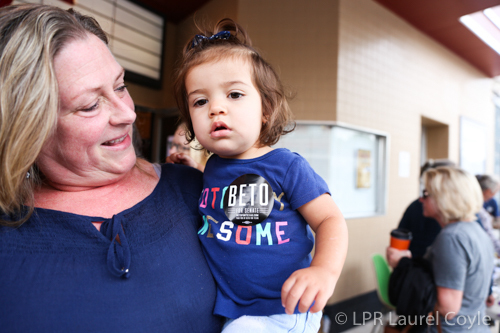 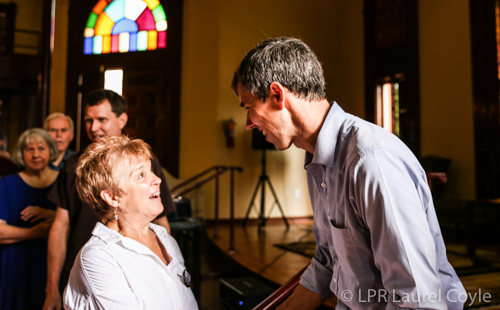 While candidates will often make a grassroots push to potentially influence undecided voters as election day nears, O’Rourke said his commitment to touring cities and making himself accessible was just a continuance of what he’s done during his campaign. 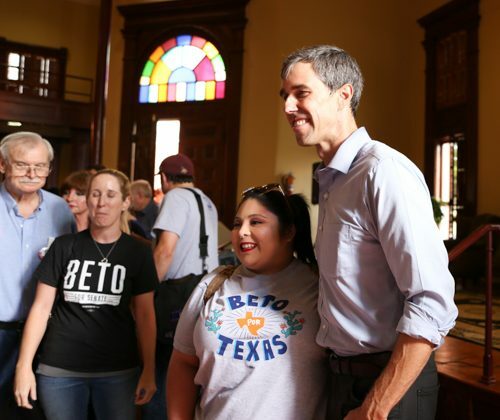 But despite having visited all 254 counties in the state of Texas, he stopped short when asked which had the best barbecue.